To my late father Emil, Larry, John & Ed I wish you all a Happy Father’s day. I remember my dear father, Emil who was the first love in my life. He is gone now, but I always think of him and miss him very much. Growing up, he made me feel loved and always wanted. I watched him interact with people and I remember everyone loved to be around him. He was a good friend to everyone he knew. I try to emulate those things about him. Tesorino mio! Larry, my husband and father of my children, I love you. Thanks for being here every day for all of us and for loving me no matter what. 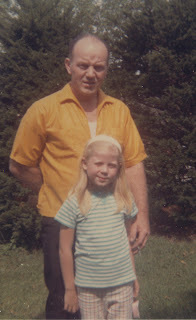 John, my stepfather who I love very much–thank you for all you do for me and for loving me as you would your own daughter. Ed, my father in law, I am glad to finally have you in our life. I’m grateful Larry is now able to know you! Next postA dream come true, via my voicemail…. No place to leave a comment about your Country Living Achievement, but congrats on that! Found your blog through the P&R board and have been checking in every couple of days. And, AT LAST by Etta James was my walk-down-the-aisle-wedding song. Adore. It. Would like to add you to my “places you must see” list…have a great weekend!